Gratuity not included. No change or credit for unused portion. One per table. Not to be used during Restaurant Week or in conjunction with other coupons or specials. Dine in only. 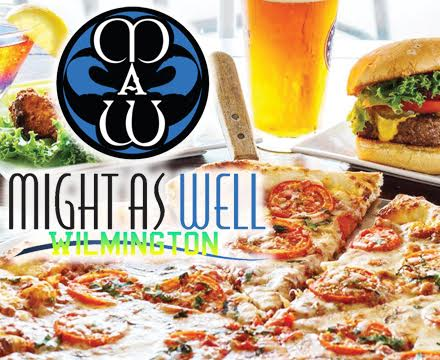 Might as Well is a great local sportsbar known for the best food and drink specials in Wilmington. While we are sports bar, don’t expect packaged and processed food you find at most bars. We are best known for our Burgers, Wings, and Pizza. Though if your looking for something other than typical bar food we got it. From our baked salmon wrap to our fire cracker shrimp or if you’re really hungry give our fan favorite Heart Attack Burger a shot just don’t blame us if your doctor gets mad at you. While here don’t forget to grab some cocktails at our outside patio bar. See you soon.